Hello! Today I want to share with you another inspiring story along the lines of “How 3D printers can be useful”. Useful not just for some engineers working in some modern labs, but to ordinary people. Useful not just in creating another mobile phone stand or some peculiarly shaped figure to accumulate dust on your shelf, but in starting a new business, helping bring it from the stage of initial idea to the final product. There are quite a lot of projects involving 3D printing on Kickstarter, and while some of them are very successful, others aren’t. 3D printing provides you with the tool to help you realize your idea, but whether it will be a success depends on how you do it and how good your idea is. The good news is, a good idea doesn’t necessarily have to be a complex one. Often sophisticated big projects fail while simple and elegant solutions and ideas bring tremendous success. And here we have a good example of just such a case. 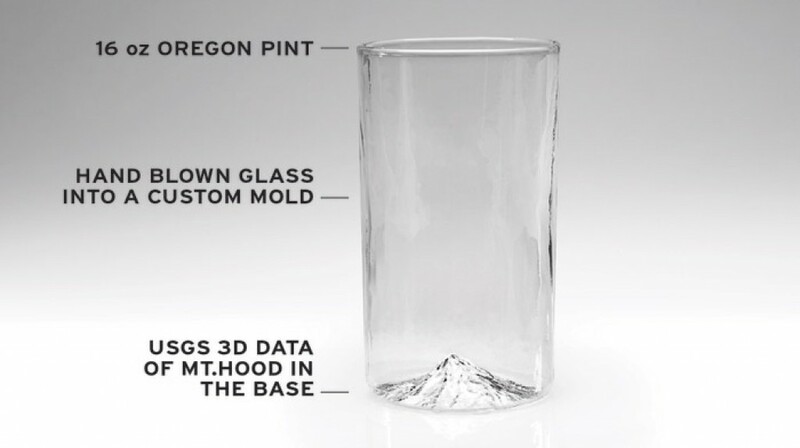 The idea of a glass with a 3D mountain in its base turned out to be a great success and was relatively easy and even fun to implement. While the initial goal on Kickstarter was $15,000, the project raised more than half a million dollars, and the goal was surpassed in a just over five hours. That’s a lot of glasses to be produced, packaged and shipped to thousands of backers, and they have already announced on the 9th of November that they had completed shipping over 5,600 backers and over 12,2000 glasses, and thus had officially concluded fulfilling their duties towards their backers. As interesting as the glasses are, the story behind them deserves even more attention. 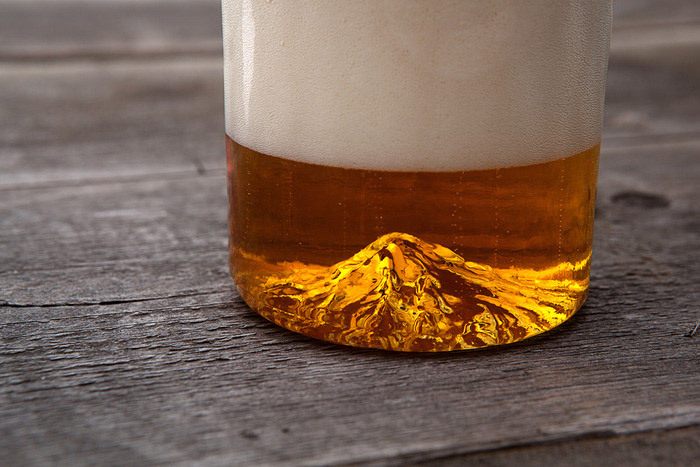 It began in the state of Oregon, when the three Oregonians, Matt Capozzi, Leigh Cazpozzi and Nic Ramirez decided to design a product that would capture the things they loved about their state: the gorgeous mountains and the beer that Portland is becoming more and more famous for. They felt there was something amiss in drinking Oregon beer produced by Oregonians out of a regular boring glass, so they decided to rectify the matter and forth came the Oregon Pint Glass with the gorgeous Mount Hood – Oregon’s highest peak – embedded in its base. they said about their Oregon Pint Glass. To rise funding and promote their product, the authors decided to use Kickstarter. However, simply having a sound idea is not enough. Prototypes, working models and demonstrations are needed to convince the public that you’re serious and that your idea is going to work. This is where a 3D printer became really handy. 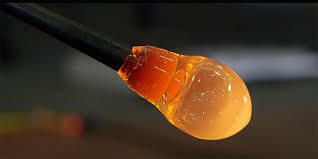 The team used a MakerBot Replicator 3D printer to produce and experiment with molds for glass blowing, an old process that fascinates with its simplicity: a bubble of molten glass on the end of a pipe is put into the mold and then the glass blower blows into the pipe so that the glass bubble inflates and takes the form of the mold, after which it cools down quite fast (you can watch the process in the video below). It quickly turned out they were lucky to use a 3D printer, for, as it is usually the case, they had to go through a series of iterations, trials and errors before they came up with a mold that suited them, even though they were assisted by a local expert in glass blowing. In making The Oregon Pint, we’ve combined modern technology with the old world craft of blowing glass to make a beautiful and relevant new product. With our design concept in place we took USGS topographical data of Mt. Hood and converted it to a digital 3D model. We then made 3D prints of our designs for design evaluation and prototyping. 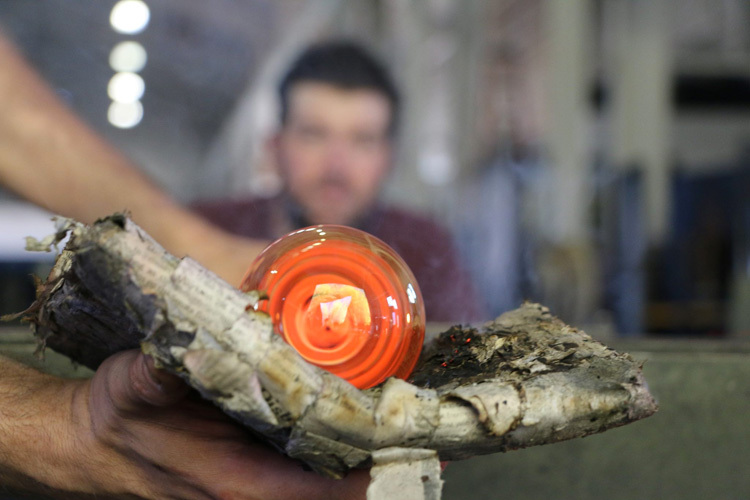 Once we were satisfied with our design, we created molds for our first blown glass prototypes. With our design finalized, we’ve ordered our first production mold and are almost ready to start production. We got to the point where we imagined we would be in five years in five days, and scaling up production has frustrated many startups, and the same can be said for glass blowing. Including among the 3D printed solutions in this phase was a 3D printed fixture to hold glasses during the final flame polishing – much quicker and easier to work with than established alternatives. ‘Kickstarter was the big accelerant. To get to the proof of concept, MakerBot was critical.